Another journal entry. 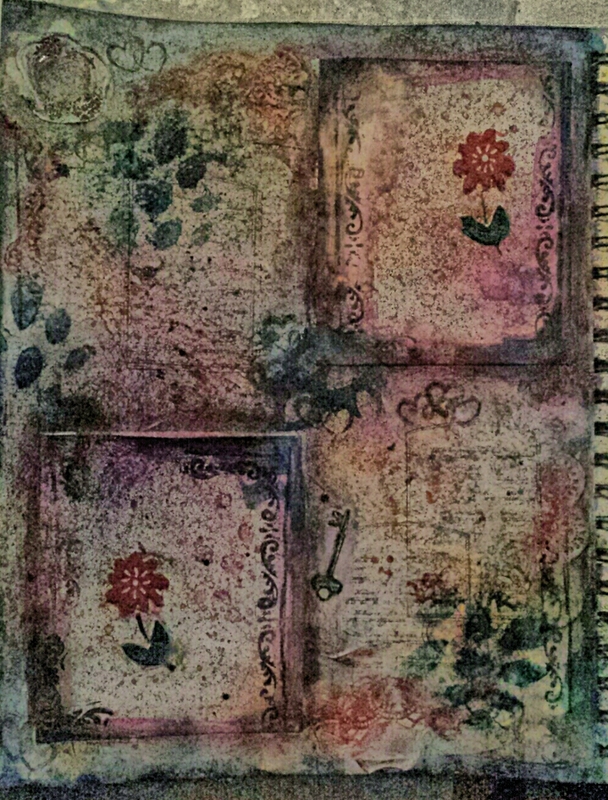 Playing with mixed media and textures (inks, stamps, stencils, collage). There are a couple of storage “pockets” behind the single flowers (top R, bottom L) for journaling notes.